The BERNINA 770 Quilter's Edition (QE) is a sewing and quilting machine with an optional embroidery module. It comes equipped with a 4.3-inch high-resolution color touch screen, an updated user interface, and a programmable foot control. The 770 QE also features the BERNINA Stitch Regulator (BSR) and BERNINA Patchwork foot #97D, along with 327 stitches, 50 quilting stitches, and enough memory storage for four personal programs. Some sewing. Some quilting. Some huge possibilities. The BERNINA 770 QE combines innovation with plenty of space. The extended free-arm creates an extra-wide work area, with 254 mm space to the right of the needle for large quilt projects. The fast and quiet BERNINA Hook sews high-precision stitches up to 9 mm in width. The bobbin holds up to 70 % more thread than standard bobbins. Both the BERNINA Stitch Regulator (BSR) and the BERNINA Dual Feed come as standard. The BSR ensures beautiful, even stitches when free-motion quilting, whilst the Dual Feed effortlessly handles difficult and fine fabrics, or multiple layers, by feeding from both the top and the bottom. The B 770 QE can also be upgraded with an embroidery module to add a further dimension to your work. Learn more about the BERNINA 7 Series and download free patterns and instructions for sewing projects at www.bernina.com/7series. Tutorial on the BERNINA 720, 740 and 770 QE: Sewing with the BERNINA Stitch Regulator (BSR). Free-motion sewing and quilting – creative techniques that allow you extraordinary scope to create new designs. The BERNINA 720, 740 and 770 QE will double your sewing fun, because the BERNINA stitch regulator, or BSR for short, makes free-motion quilting child’s play. The BSR foot makes each stitch exactly the same length during free-motion sewing, resulting in a neat and even stitch pattern. After attaching the stitch regulator, you can access configuration options via the display. Novice quilters will appreciate the BSR mode 2, which stops the BERNINA when the fabric is not moved. Letting you work with reassurance and full focus on your sewing piece. All three models offer BSR functionality. 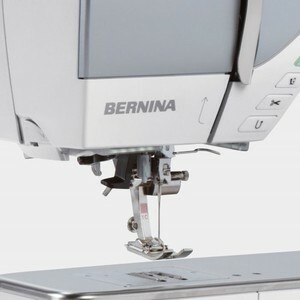 The BERNINA 770 QE includes the BERNINA stitch regulator as an accessory on delivery, while it is an optional add-on extra for the BERNINA 720 and 740. For more information on BERNINA products, a wealth of instructions and free embroidery designs and sewing patterns for your textile creations check out www.bernina.com. Please also note the additional video instructions in this YouTube playlist with tutorials! With the launch of the 7 Series, BERNINA presented a world’s first, the BERNINA 9 Hook (B 9 Hook). Combining the two best hook technologies. Since June 2014 BERNINA holds the US patent for the B9 Hook, rest of the world is pending. The new heart of the BERNINA machine features a novel, centrally-placed driver, which allows the B 9 Hook to run steady and quiet. The B 9 Hook sews high-precision stitches up to 9 mm in width with speeds up to a 1,000 stitches per minute. And the bobbin has 80 percent more thread capacity than our standard bobbins allowing you to sew longer without interruption. Finally, the B 9 Hook is made of high-quality materials that allow the thread to run smoothly at consistent tension. Tutorial on the BERNINA 740 and 770 QE: Sewing with Dual Feed. 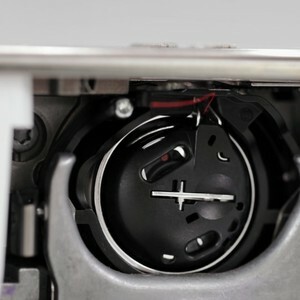 The BERNINA Dual Feed – one of the smartest and most helpful features you’ll find on the BERNINA 740 and 770 QE. In this tutorial we will show you what this clever helper can do. With simultaneous upper and lower fabric feeds, the Dual Feed allows for precise seam tracking and guarantees accurate results, even with multi-layer, extra-thick or difficult to move textiles. 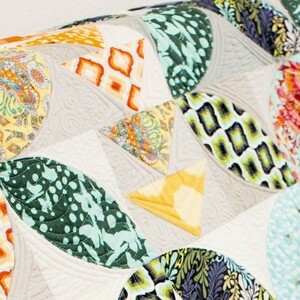 The video instruction clearly shows you how to use it during patchwork or quilting work. It also shows how to successfully handle sewing work when accuracy is crucial, for example when you have to handle patterned fabrics. With multiple fabric layers, the BERNINA Dual Feed feature prevents the individual layers from shifting against each other, even with slippery or badly moving materials such as leather, viscose, silk or elastic. You will be astounded at just how easy and convenient sewing can be with the Dual Feed. Free-motion sewing and quilting – creative techniques that allow you extraordinary scope to create new designs. The BERNINA 720, 740 and 770 QE will double your sewing fun, because the BERNINA stitch regulator, or BSR for short, makes free-motion quilting child’s play. The BSR foot makes each stitch exactly the same length during free-motion sewing, resulting in a neat and even stitch pattern. After attaching the stitch regulator, you can access configuration options via the display. Novice quilters will appreciate the BSR mode 2, which stops the BERNINA when the fabric is not moved. Letting you work with reassurance and full focus on your sewing piece. All three models offer BSR functionality. 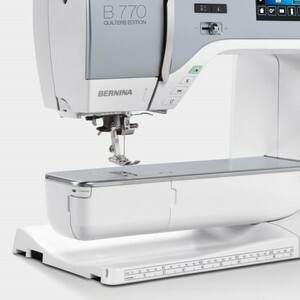 The BERNINA 770 QE includes the BERNINA stitch regulator as an accessory on delivery, while it is an optional add-on extra for the BERNINA 720 and 740. For more information on BERNINA products, a wealth of instructions and free embroidery designs and sewing patterns for your textile creations check out www.bernina.com. Please also note the additional video instructions in this YouTube playlist with tutorials! Extended Freearm for Grand Ideas The BERNINA 7 Series includes a meticulously engineered extended freearm with 10 inches of space to the right of the needle. The BERNINA 770 QE not only provides plenty of space for large, beautiful sewing and quilting projects - with its stitch width of 9 mm, it is also ideally suited for sewing decorative stitches. The extra-large embroidery module (optional with the BERNINA 770 QE) lets you stitch out maxi-sized motifs. And should your ambitions grow, the BERNINA 770 QE can be updated with a wealth of accessories. BERNINA Adaptive Thread Tension The BERNINA Adaptive Thread Tension, a BERNINA innovation, provides ideal thread tension while sewing to achieve perfect stitch quality on both sides of the fabric. Once the tension is set according to the thread and fabric used, BERNINA Adaptive Thread Tension will constantly check the thread tension, adjusting it automatically when needed. The result is the finest stitching without pressing a button. 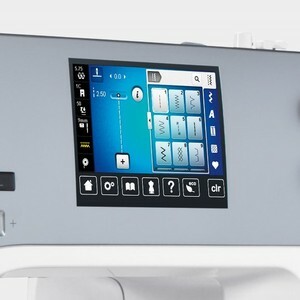 Total Stitch Control All BERNINA 7 Series models provide an exclusive level of stitch control. Whether altering stitch length, stitch width or needle position, the machine will remember the stitch details for you. Your personal settings can be saved and retrieved at will. And the USB interface allows you to import and export stitches and stitch patterns or combinations. The BERNINA Stitch Regulator (BSR) The BERNINA 770 QE is equipped with the BSR function. The BSR foot assists you with free-motion sewing and quilting with a straight or zigzag stitch, ensuring stitches of the exact same length even at variable sewing speeds. Beginners quickly gain confidence with the BSR, while experienced quilters acquire additional self-assurance. 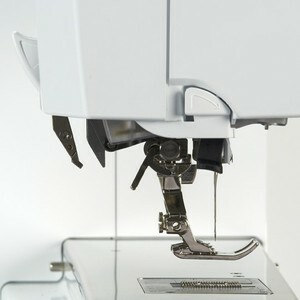 The BSR foot comes in the standard accessories package of the BERNINA 770 QE. BERNINA Patchwork foot 97D included The BERNINA 770 QE also includes the Patchwork foot 97D with movable guide rail. For patchworking, it provides extra reliability for when joining together the patchwork pieces. When used in conjunction with the straight stitch needle place, it enables you to achieve a perfect stitch result. BERNINA Dual Feed The innovative BERNINA Dual Feed tames hard-to-manage fabrics providing superb fabric feed and optimum visibility while sewing. 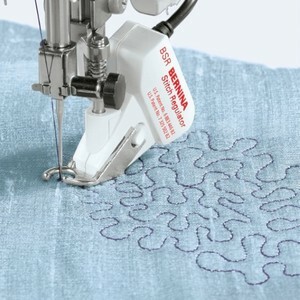 Easy to engage when needed, the BERNINA Dual Feed tucks completely out of the way when it’s not. Semi-automatic needle threader The BERNINA 770 QE responds to your needs. 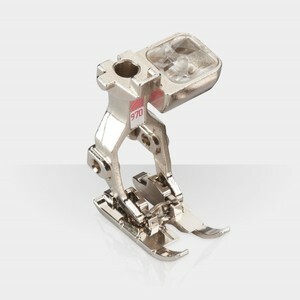 The presser foot automatically lowers at the start of a seam and lifts at the end. The machine will cut the thread for you at the end of your seam or color change. Also included is a practical extension table with ample space to hold your larger sewing projects. New user interface User-friendly features and intuitive navigation: the Sewing Consultant and built-in tutorials offer direct onscreen support and answers to your questions at any time, day or night.